4. Products exported to 30 different countries. 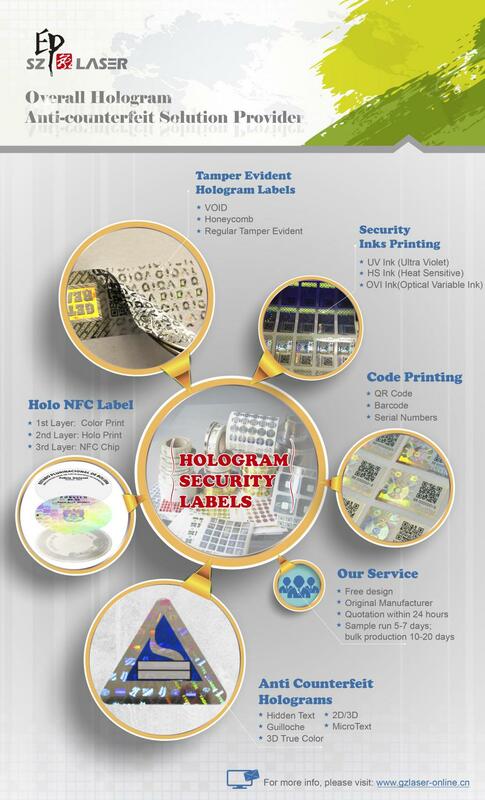 Of course, we provide personalized hologram sticker. Round, Oval, Square, both are ok. Transparent, silver, gold, etc. Samples are available, we send it for free with freight collect.